With wildfires raging over the west coast, fire crews are stretched thin simply trying to keep the blazes under control. But, with all the smoke being generated from Camp Fire, Sacramento firefighters have seen a considerable increase in false fire alarms triggered by the fumes. These false dispatches are putting a substantial burden on an already strained department. When a security or PERS alarm goes off, there are often procedures in place to verify that the alarm is valid before emergency services are dispatched. 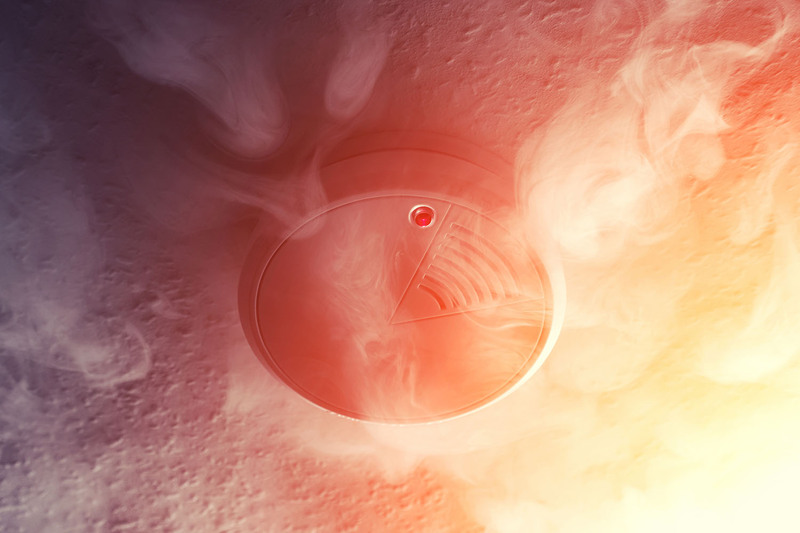 Fire alarm calls, understandably so, are never to be ignored. In an interview done by CBS13, Sacramento Fire Battalion Chief Rusty Van Vuren explained that smoke detectors are designed to detect particulate or ionized particles in the air. The drift smoke blanketing the city of Sacramento is seeping into the buildings, setting off the fire alarms inside. “[The smoke detectors] were doing exactly what they were designed and meant to do, unfortunately with this kind of drift ambient smoke going throughout the whole valley, it’s putting us to work for a lot of extra false alarms,” said Van Vuren. When a fire alarm is triggered in a commercial building, the departments sends at least nine firefighters. And it’s a lengthy process to rule out the possibility of a fire and determine that the alarm was false. The Sacramento fire department sent a fair amount of their crew to Butte County in order to aid in the efforts there, so the battalion is short staffed as it is. False alarms like these are sure to take a toll on these strained firefighters. AvantGuard Dealer Services Manager, Leif Boren states, “Although these incidents have caused an increase in false alarms, we remain vigilant and are happy that the majority of the alarms don't represent danger to our subscribers. We are watching the progress of the fire very closely and are taking every precaution to ensure the each subscriber life is properly accounted for." Camp Fire has killed more people than the prior three worst wildfires combined. The fires have destroyed more structures than the next 7 disastrous fires combined. The fires burned more than 70,000 acres on the second day. For more detailed information and images about these statistics, see this article by USA Today.